(GV) – One of Brazil’s largest and most influential newspapers decided to rebel against Facebook by ceasing to publish content on its page, which has nearly six million followers. The move, which was announced in an editorial-like article on February 8, may be unprecedented for a major news outlet page with such a massive following. Time will tell whether other major news outlets follow in Folha’s footsteps. The media conglomerate Folha de S. Paulo, whose print and digital sales nears the 300,000 copies, said its decision stems primarily from Facebook’s recent change on users’ news feed, which aims to reduce the amount of content posted by Facebook pages, instead favoring posts by friends and family. In addition to its main Facebook page, Folha’s Facebook pages for individual sections of the newspaper boast an additional 2.2 million followers. Folha does not plan to get rid of the Facebook pages, but says that from now on, they will no longer be updated. The last post on the page’s timeline is the article announcing its exit. Folha says it will continue updating its accounts on Twitter (with 6.2 million followers), Instagram (727,000 followers) and LinkedIn (72,000 followers). For Brazilians who get most of their news on Facebook, this will mean that they won’t be getting it from Folha in the future. But the editorial adds that Facebook had lost prominence among its distribution platforms even before the tech company announced its algorithm change. In a study conducted by Folha itself, which analyzed interactions in 51 Facebook pages from professional media outlets and 21 from “fake or sensational news” sites, showed that users’ interactions with the first group dropped by 17% from October to December 2017. Interactions with the second group (“fake and sensational news sites”) rose by 61% in the same period. Unease over “fake news” and misinformation looms large in Brazil ahead of the September 2018 presidential elections. This will be the first ballot following the controversial impeachment of president Dilma Rousseff of the Workers’ Party in 2016. In early December 2017, Brazil’s government established a committee to monitor and possibly order the blocking of false news reports on social media before the upcoming election. The news has raised concerns about censorship among the public. Founded in 1921 and owned since 1962 by the Frias family, whose origins trace back to Brazil’s 19th-century colonial aristocracy, Folha de S. Paulo is generally seen as the most liberal of Brazil’s center-right mainstream press, although still associated with Brazilian society’s more conservative sectors. It has long been accused of collaborating with the military regime that governed Brazil from 1964 to 1985, by even lending its cars to the police at that time. The newspaper denies these allegations. In 2009, an editorial referred to the military regime as ‘ditabranda‘, meaning ‘meek dictatorship’, when comparing it to other regimes of the time in Latin America, sparking outrage among the public and a rally in front of the paper’s headquarters. 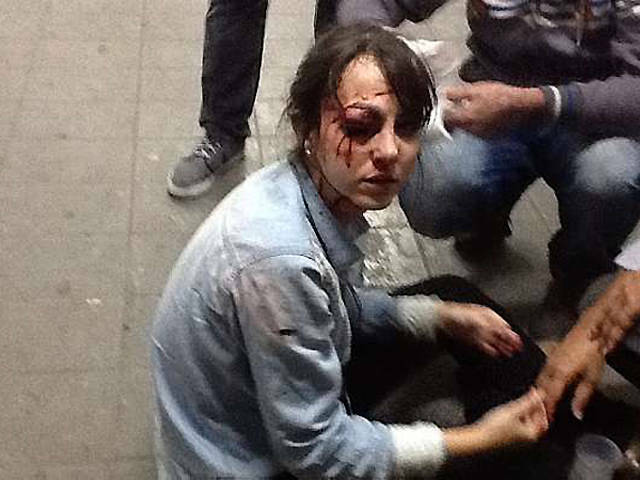 During the 2013 protests, Folha reporter Giuliana Vallone was shot with a rubber bullet in the eye on the same day Folha ran an editorial defending the police crackdown. The following widespread circulation of a photo of Vallone on social with a bleeding eye was considered a major turning point in the protests — and one that prompted a shift in the press toward supporting the rallies.